On the day of your event, you want to be able to scan tickets in order to manage access to your event. Scanning tickets is easy with ezEvent®! ezEvent® provides a link to a ticket scanner on the Event Information page that you can use to scan ticket numbers when people hand in tickets at your event. To access this link, click the Manage Events link at the top of the page. This will bring up a list of your events. Clicking the name of an event or clicking the Information link in the row next to an event name will take you to the Event Information page for that event. On that page you will see a link labeled Event Ticket Scanner. Clicking this link will bring you to the Redeem Ticket page. On this page, input attendee ticket numbers to keep track of who is present at your event. Once you input a ticket number, click the green Submit button. You will see a summary of information that includes the Ticket Type, Ticket Number, and Ticket Holder. If this information looks correct, click the green Confirm button. 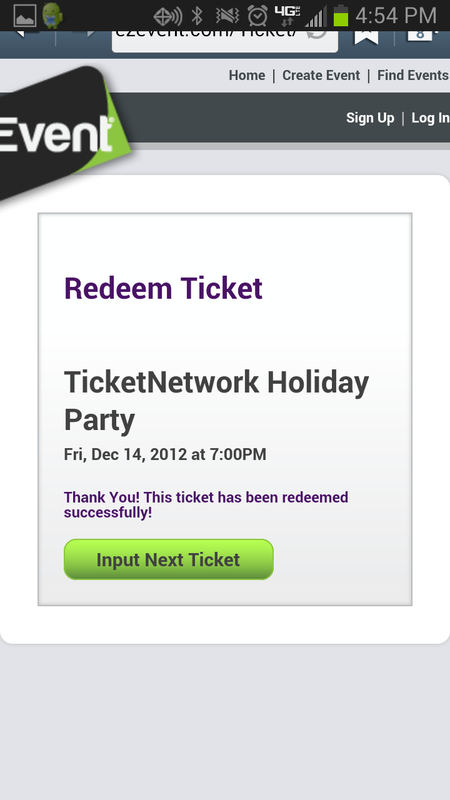 This will run the ticket’s unique ID against the ezEvent® database to see if it has already been redeemed. If the ticket has not previously been redeemed, you will receive a message stating that the ticket has been redeemed successfully. To enter the next number, click the green Input Next Ticket button. Once a ticket is marked as redeemed, it gets updated in the Buyer Report so that after the event you are able to see which tickets were redeemed or not. With a smart phone, you can use a QR scanner app to scan the unique QR code to redeem attendee tickets. Open up your QR code reader and scan the QR code that’s found on the top right of the attendee’s ticket. You will be brought to a page that shows a summary of information that includes the Ticket Type, Ticket Number, and Ticket Holder. If this information looks correct, click the green Confirm button. This will run the ticket’s unique ID against the ezEvent® database to see if it has already been redeemed. If the ticket has not previously been redeemed, you will receive a message stating that the ticket has been redeemed successfully. To enter the next number, click the green Input Next Ticket button. Once a ticket is marked as redeemed, it gets updated in the Buyer Report so that after the event you are able to see which tickets were redeemed or not. If you have a 2D scanner, you are able to scan the unique barcode located underneath the QR code to redeem attendee tickets. You will be brought to a page that shows a summary of information that includes the Ticket Type, Ticket Number, and Ticket Holder. If this information looks correct, click the green Confirm button. 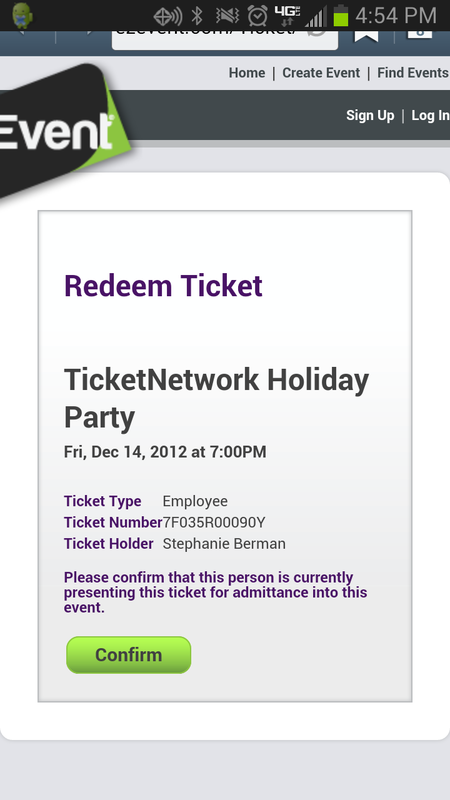 This will run the ticket’s unique ID against the ezEvent® database to see if it has already been redeemed. If the ticket has not previously been redeemed, you will receive a message stating that the ticket has been redeemed successfully. To enter the next number, click the green Input Next Ticket button. Once a ticket is marked as redeemed, it gets updated in the Buyer Report so that after the event you are able to see which tickets were redeemed or not.